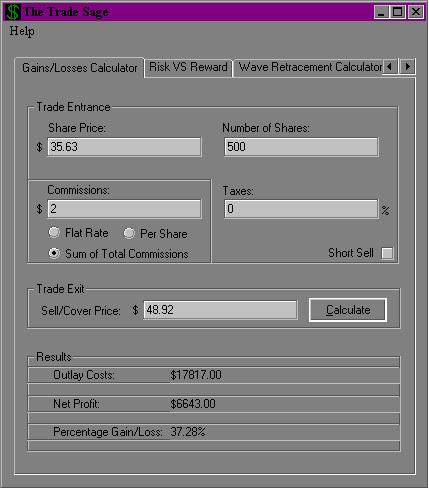 Download your own portable copy of The Trade Sage for $7.95. 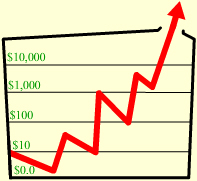 Instead of having to connect here at Trade Sage.com, you can calculate stock market data from anywhere, with or without a connection to the internet. 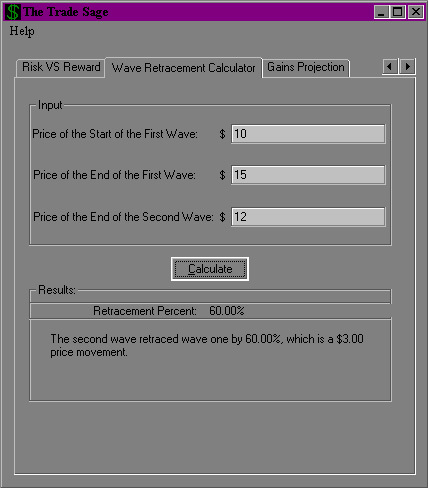 The version of The Trade Sage you may buy here performs all of the functions you get with the Online Version, only this version is downloadable. 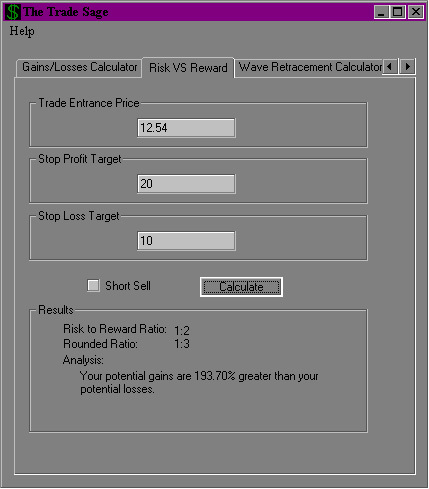 With the downloadable version, you may calculate potential gains or losses, your potential risks proportionate to your potential rewards, retracement patterns of the stock prices you may be observing, etc.